The Kerala government Wednesday made it clear it has no plan to file a review petition against the Supreme Court order allowing women of all age groups into the Lord Ayyappa Temple at Sabarimala. 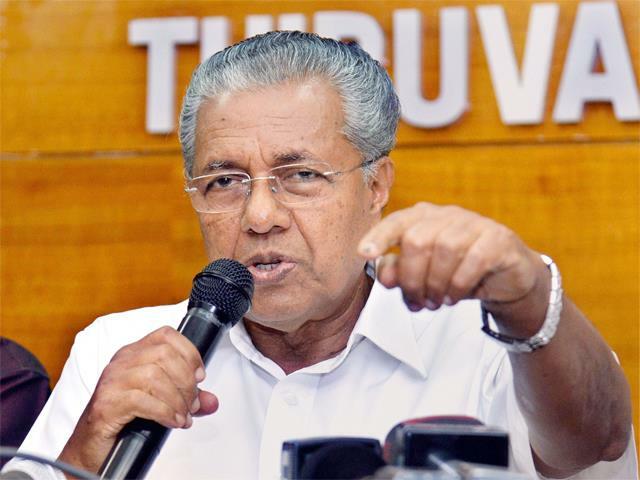 The Travancore Devaswom Board (TDB), which manages the hill shrine, has also not taken any decision to go for any review in this regard, Chief Minister Pinarayi Vijayan told reporters here. The TDB president had stated that the Board may examine the possibility of filing the review petition, while the opposition Congress and BJP had asked the government to do the same holding that traditions and belief of the temple have to be protected. Terming the recent developments connected with Sabarimala a “serious” matter, Vijayan said as a government, it has to abide by directives of the top court and make necessary arrangements for women devotees visiting the shrine. “It is the responsibility of the government to implement the court order without any compromise. We will ensure to make necessary arrangements for the women devotees in the upcoming season itself,” he said. He also took exception to TDB president A Padmakumar’s recent remark that they were not expecting large number of women devotees at the shrine in the wake of the court order. The Sabarimala Temple had restricted the entry of women belonging to the age group between 10-50 due as part of its age-old tradition. On October 28, a five-judge constitution bench headed by the then Chief Justice Dipak Misra lifted the ban on entry of women of menstrual age into the shrine. With regard to the protest launched by various outfits against implementing the court verdict, the Chief Minister said no one has the right to prevent women devotees if they want to go to the shrine and offer worship. “When the Supreme Court has taken a stand after considering all aspects on the matter, people have to accept the law of the land. The government is for implementing it,” he added. Hundreds of Ayyappa devotees, including women, Tuesday had blocked state and national highways in various parts of Kerala protesting the Supreme Court verdict. BJP state President S Sreedharan Pillai had said the party plans to launch state-wide agitations to protect the interest of Sabarimala devotees. Congress leader Ramesh Chennithala had urged the TDB to file a review petition and also asked the government to arrive at a consensus on the issue.